--An out-of-bounds skier had to be rescued from a steep slope near British Columbia's Mt. Seymoure on Sunday. To read more, click here. --The Mountaineers are looking for volunteer ski instructors for Meany Lodge at Stampede Pass. To learn more, click here. --The Desert Trail is reporting that, "a San Diego woman who was left dangling 150 feet above the ground while climbing in Joshua Tree National Park was rescued by helicopter Saturday, Dec. 2. The entire hoist rescue was performed in darkness with the use of Night Vision Goggles." To read more, click here. --There was a second incident in Joshua Tree as well. To read more, click here. 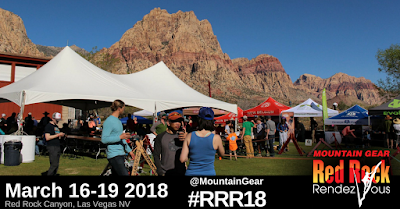 --Red Rock Rendezvous will take place between March 16 and 19, 2018. 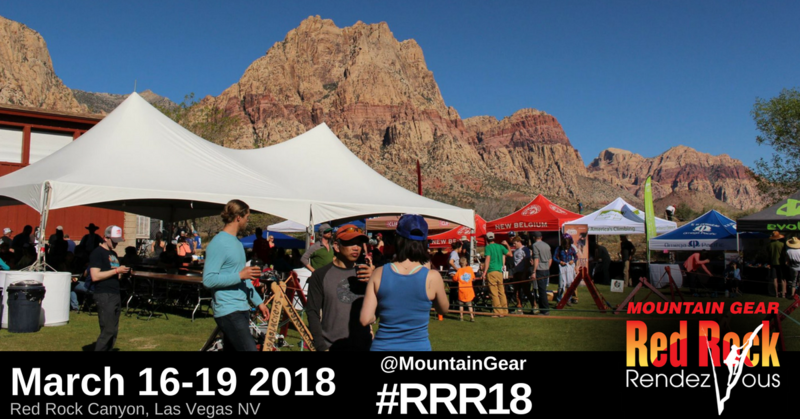 This is a great chance to rub elbows with guides and athletes and to learn all kinds of new skills. For more information, click here. Please also consider climbing with an AAI guide before or after the event! --A snowboarder was killed after hitting a tree in the Monarch Ski Resort. To read more, click here. --The Denver Post is reporting that, "The U.S. House voted Tuesday to name two peaks in Colorado after local mountaineers Christine Boskoff and Charlie Fowler, both of whom died in 2006 during a climb of Genyen Peak in southwestern China." Christine was an important figure in the guiding world and owned the guide service, Mountain Madness. To read more, click here. --The Durango Herald is reporting that, "a Durango woman is suing Silverton Mountain on claims that the ski area recklessly disregarded safety protocols after she fell off the top of a high-altitude chairlift platform in March 2016, leaving her paralyzed from the waist down." To read more, click here. --Rocky Mountain National Park will be having a informational jobs fair next week. 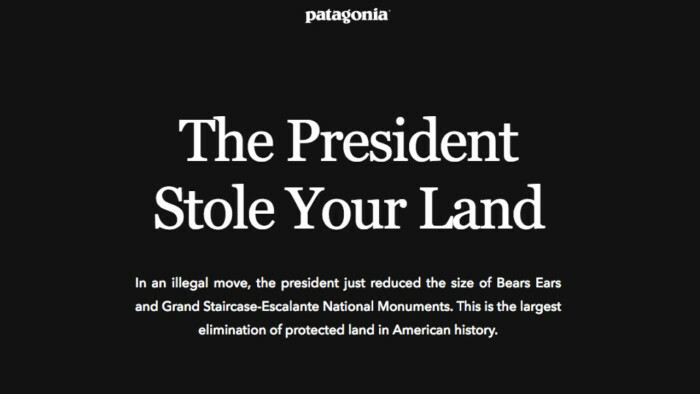 Patagonia placed this image on their website. 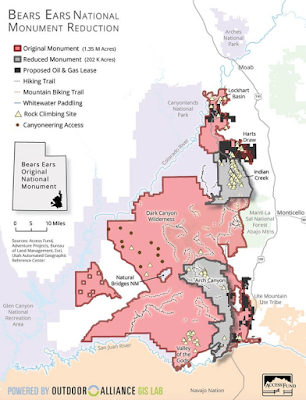 --In a press release, the Access Fund notes, "President Trump issued a proclamation that attempts to dismantle Bears Ears National Monument by 85%, and the impacts to climbing are far-reaching. The President does not have the legal authority to modify or rescind a National Monument. And we are fighting this in court. This fight is about more than just protecting the incredible climbing at Bears Ears. 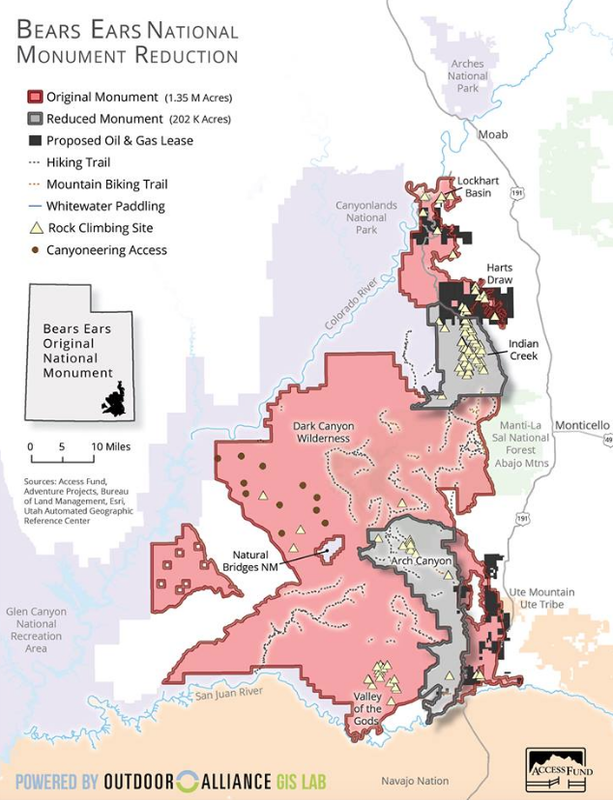 Nearly 60% of our climbing areas are on federal public lands, and if this presidential proclamation stands, it threatens the very foundation of our public lands system. Bears Ears is a crucial battle in the greater fight for America's public lands." Click here to support the Access Fund and other organizations in a lawsuit to protect Bears Ears. A map showing the change in size to Bears Ears. 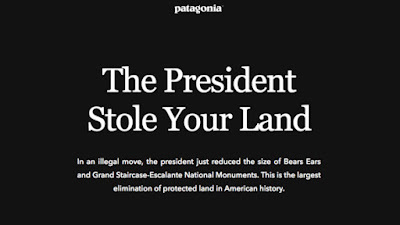 --Here's a depressing piece on how little the outdoor industry was able to do to stop the Bears Ears size reduction. --John Krakauer sued Outside magazine for republishing his article, Into Thin Air. The piece was later turned into the best-selling book about the 1996 Everest Tragedy. Outside placed the article online. To read more, click here.